“Wireframing” of an app might sound rather bizarre, but it is an essential step in the app development process. Wireframe of an app represents the skeletal structure of the app similar to blueprint of a building. It lays out the structure, hierarchy and relationship between different elements of a mobile app. Wireframes are essentially pen and paper sketches of the successive screens of an app showcasing how the elements in an app interact with each other. It focuses more on functionality of an app rather than the actual layout of text, buttons and graphics on the screen. Wireframes promote collaboration between developers, designers and clients of an app. App development is a team effort. Developers write the coding for the app. Designers create the UI or front end of the app. 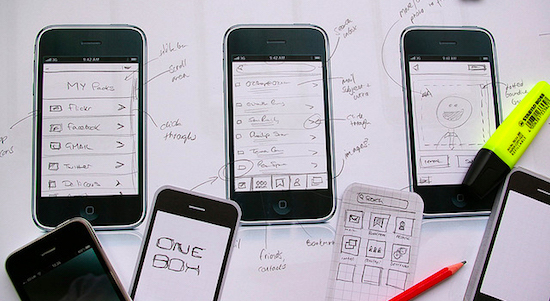 Wireframe for an app is created in the early app conception stages even before coding starts. Thereafter, wireframes are shared between developers and designers. Now the development team can understand all the fine nuances of their app and work together to create a better app. Moreover, wireframes of an app are consistently shared with the clients of the app too. Their feedback is actively sought and incorporated in app designing process itself. Hence, wireframes promote team effort. • Wireframes give clients and developers a good idea of the app’s user interface. Wireframes help app developers to develop user-friendly and effective prototypes for each screen of the app. • Wireframes depict the functionality of the app. Wireframes form the crucial link between the theoretical idea of the app and its actual design. When a developer carefully studies visual sketches of the successive screens of his app, he is better able to understand how the app will be deployed and what type of coding to be put in each screen. • Wireframes facilitate app navigation. Screen transitions in wireframes help developers to understand how their app will run and the modifications needed can be made at an early stage itself. 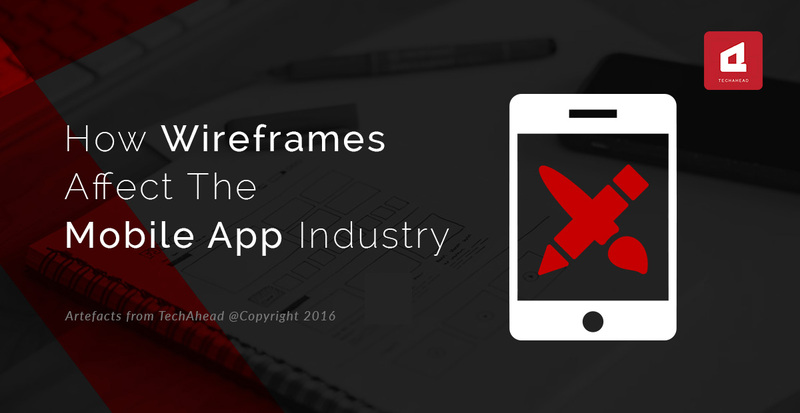 Wireframes are cost-effective and time-effective for app developing companies and clients. All it takes to create a wireframe is a paper and a pen. The different screens and elements can be drawn on paper and changes can be made therein. It is a small investment to make before investing huge sums of money in developing costly Smart phone and Android apps. • Wireframes make it easier to create detailed mockups of the app later. 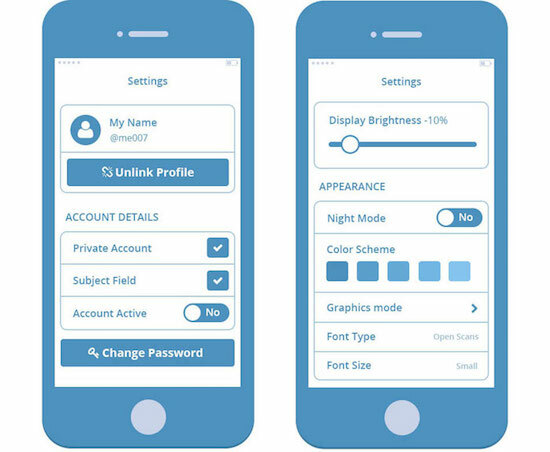 Before the final app prototype is created, the client might want to see a more detailed mockup of the app complete with text, buttons, animations and hyperlinks. This becomes easy if a wireframe of the app is ready. Then it is just a matter of adding features and enhancements to get the high fidelity mockup of the app. • Multiple wireframes of the same app can make app testing more meaningful. Developers create multiple wireframes of an app with subtle changes between them with respect to work flow, layout of elements and visual hierarchy. Thereafter, these options are available to the app testers for them to select the best one. • Changing an app becomes easier and faster with wireframes. Imagine rejection by the client after the final app prototype is ready or detection of bugs when app design is complete. What a waste of time and effort it would curtail not to mention additional costs. Since wireframes are shared with the clients continuously and their feedback is sought at every stage, rejection at a later stage is unlikely. Since app testing also goes on concurrently, bug detection at an early stage is very likely. • Wireframes help in placement of animations and graphics in an app. Animations and graphics are a vital part of gaming applications. Wireframes can outline placement of animations in an app to make it more interactive and effective. • Wireframes are a powerful tool for promoting an app. They help to showcase evolution of an app and the research behind an app’s conception and implementation in a graphic manner more effective than detailed text description. Series of wireframes can be presented to the app users through various social media platforms and create a market buzz about the app. Doubtlessly, wireframing is a vital part of mobile app industry. It is the stage which allows collaboration between app developers, designers and clients at a micro level and create apps which are fully-functional and intuitive.